In that last blog post I mentioned that we were struggling with how to represent our core action potential mechanic. We needed some way to represent the way the player uses neurotransmitters to get the chips/neurons in the game to their threshold so that they fire. After much brainstorming we came up with an idea. 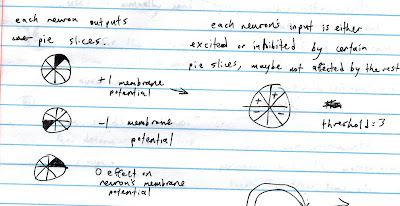 What if instead of combining colors and shapes, we represented the neurotransmitters spatially as the sections of a divided circle, essentially pie slices? 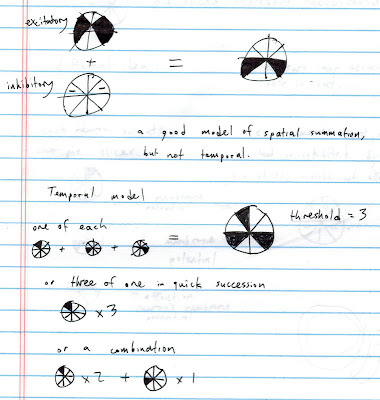 An early design sketch of our pie slice idea. 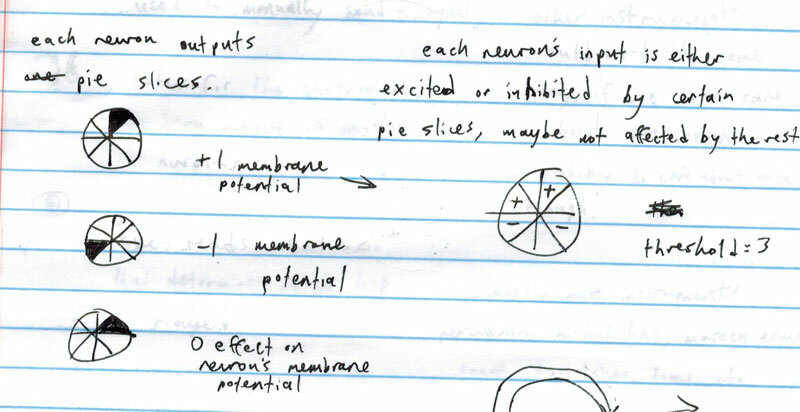 The pie slices on the circle would indicate which neurotransmitters are excitatory and take the chip/neuron's membrane potential towards threshold, and also which are inhibitory and count against reaching threshold. To get the right chip/neuron to fire you would have to carefully connect up your neural network to combine the right neurotransmitters, making strategic placement essential. 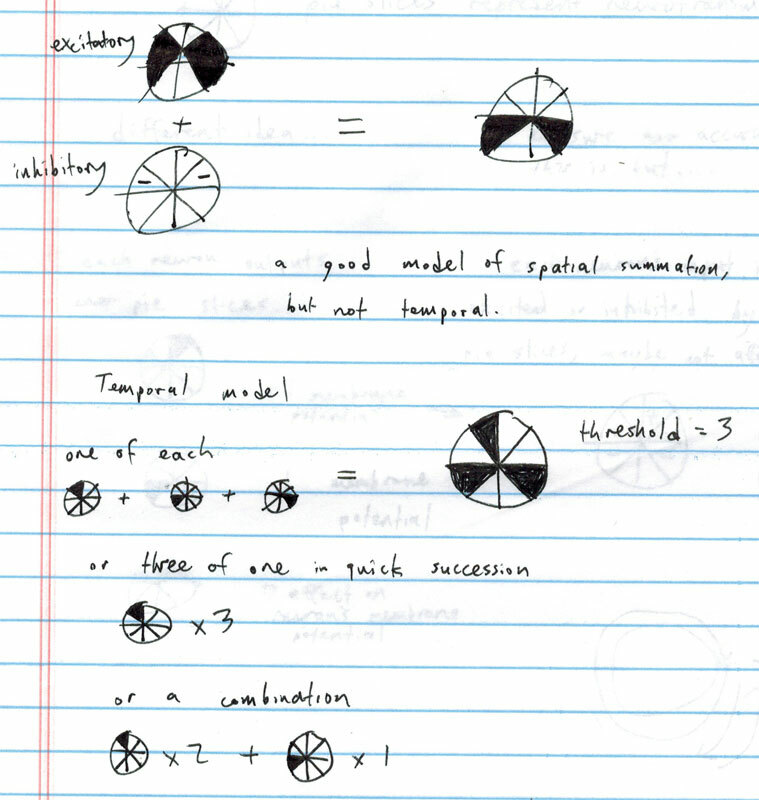 Another sketch, brainstorming temporal and spatial summation. With this idea in mind we started working on a series of prototypes, which we plan on showing you in our next few blog posts.